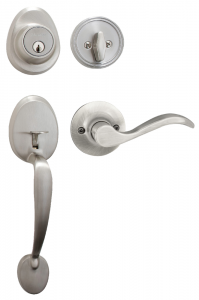 Master Lock Grade 3 Door Hardware provides a cost-effective, dependable replacement for the four major brands of door hardware. 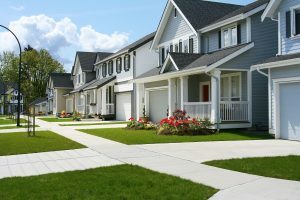 Our Master Lock product will replace the Kwikset, Schlage, Weslock, or Weiser locks that may currently be on your property. We will key our Master Lock product to any key you want us to for FREE. 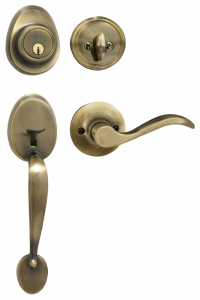 Master Lock door hardware comes in four finishes – Satin Nickel, Aged Bronze, Polished Brass, and Antique Brass. 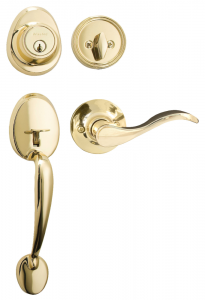 This includes your hallway and closet hardware as well as your deadbolts and door knobs. 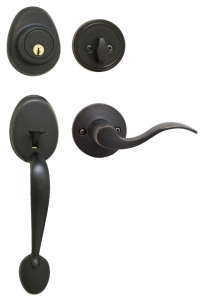 We carry various styles of locks – Handlesets, Levers, or Knobs – to fit your particular style preference. We want to be your one stop shop for all of your lock needs for your home!